My personal journey in cooking for myself started when I started working full-time at JPMorgan. You see, I was fortunate (or unfortunate?) enough to have had a scholarship that paid for a meal plan all throughout college, but left to my own devices I made ham and cheese sandwiches I brought to work. After leaving my job at JPMorgan to work on Rescuing Leftover Cuisine full-time, I started to explore the most inexpensive ways to get meals taken care of, which involved a lot of pasta. Throughout the five years now that I've been full-time with RLC, I have learned a lot in the kitchen. My team can tell you all about my foibles in the kitchen (including things like scissors to a carrot)! We’re Cooks Who Feed and we’re on a mission to fight hunger by reducing food waste. 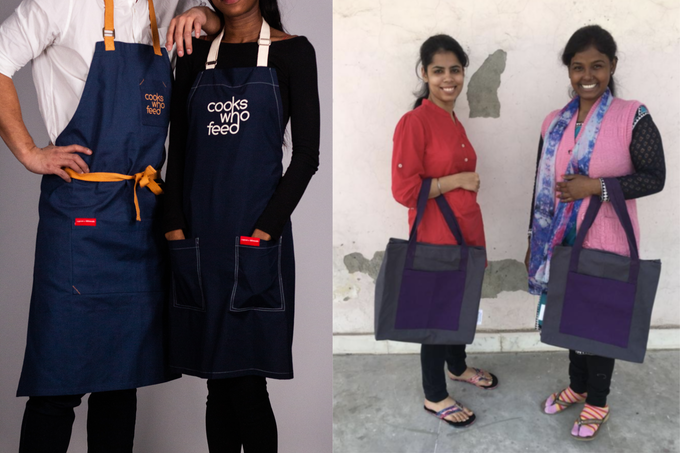 We produce handcrafted aprons and for every apron sold, 100 people receive a nutritious meal. We fulfill this promise by working with our charity partners who prevent food waste and provide meals to those in need. 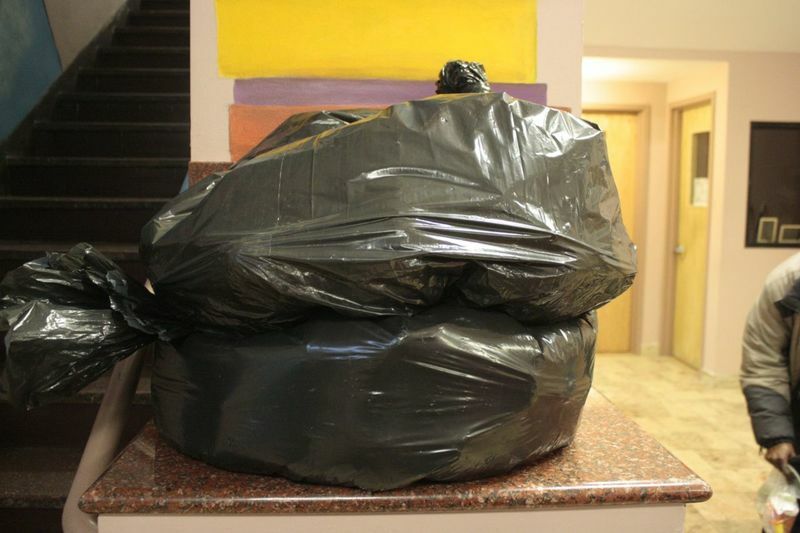 We’re honored to have Rescuing Leftover Cuisine as one of our partner charities. We put a lot of focus on running our business in an ethical manner. Some of the things we focus on are reducing our production waste, using scrap fabric for packaging instead of plastic and only using local, organic and sustainably sourced fabrics to make our aprons. We’re also socially responsible when it comes to our production team. We work with WORK+SHELTER, an NGO in India that hires women who live in poverty. The NGO provides these women with paid training, a fair wage, and income security. We’re proud to partner with WORK+SHELTER and work with their team of artisans exclusively to produce all of our products. Join me in becoming a cook who feeds!